With free online testing, experts on-demand, and quick delivery, we’ve reimagined hearing health to make it simple to take action. So you get custom award-winning hearing aids, for thousands less, right from your couch. Tell us about your hearing. Start by submitting your hearing test. Or take our accurate online test for free. Our audiology team reviews your results and offers free expert consultations to help you understand your hearing and find the perfect solution. Personalize your hearing aids with in-demand features like Bluetooth or rechargeability. We custom-program each device to your test results then ship right to your door with everything you need to get started. No commute, co-pays, or waiting rooms. With experts by your side. Call our 5-star support team whenever you need as you learn to use your new device and adjust to renewed hearing. You get 45-days to try them risk-free. If you’re not blown away, simply send them back for a full refund. Join the growing number of our happy, healthy community. We hear every day from customers who cannot believe what they were missing. From bird song to board meetings, from grandkids to Bruce Springsteen, we know just how life-changing renewed hearing is for the people we serve. We’ve built everything around the needs of our customers and their experiences reflect that. We’re proud to have the best satisfaction and return ratings out there. With the highest number of happy customers anywhere. Over 80% of people with hearing loss do not get treatment. Cost is the number 1 reason. By selling directly to you we’ve cut the markups to save customers thousands per pair. Making the world of sound accessible to everyone. The best quality at the best price you’ll find. Anywhere. Audicus believes you should live a life without limits. So we give you everything you need to get back to the world of sound. So much more than just hearing aids. All Audicus customers have unlimited access to our team of experts, here to answer any question, at any time. With your hearing aid purchase, you also get a 1-year warranty that covers any repairs not caused by user damage as well as unlimited reprogrammings, 45-day trial, and free US shipping to your door. Other companies work as middlemen selling hearing amplifiers or devices that only cover mild hearing loss. We are a 1-stop hearing health company fueled by experts. We do everything in-house so you never need to leave yours. From testing to programming to shipping to your doorstep. Saving you thousands. Not too shabby. How it works. If you have a copy of your hearing test simply submit it to our site. We will contact you shortly after we’ve reviewed the test. If you know that you have had a hearing test, but do not have a copy, you have the medical right to receive a copy from your doctor. All you need to take the Online Hearing Test is an internet connection, 20 minutes, headphones, and a quiet setting. The test is free and easy to take and will give you a detailed hearing loss profile for each ear. We use the results to program custom hearing aids. No clinical audiogram needed. After we review your test, our team will contact you to go over the results and discuss any special settings or features you may need. Take the test. Just like taking an eye test to get the right prescription for glasses, an up-to-date hearing test is necessary to program each hearing aid to your unique hearing loss. If you have a clinical audiogram from within the last year, submit it to get started. If you do not have a clinical audiogram, you can either take our free and super accurate Online Hearing Test or go to a local audiology center or doctor’s office. 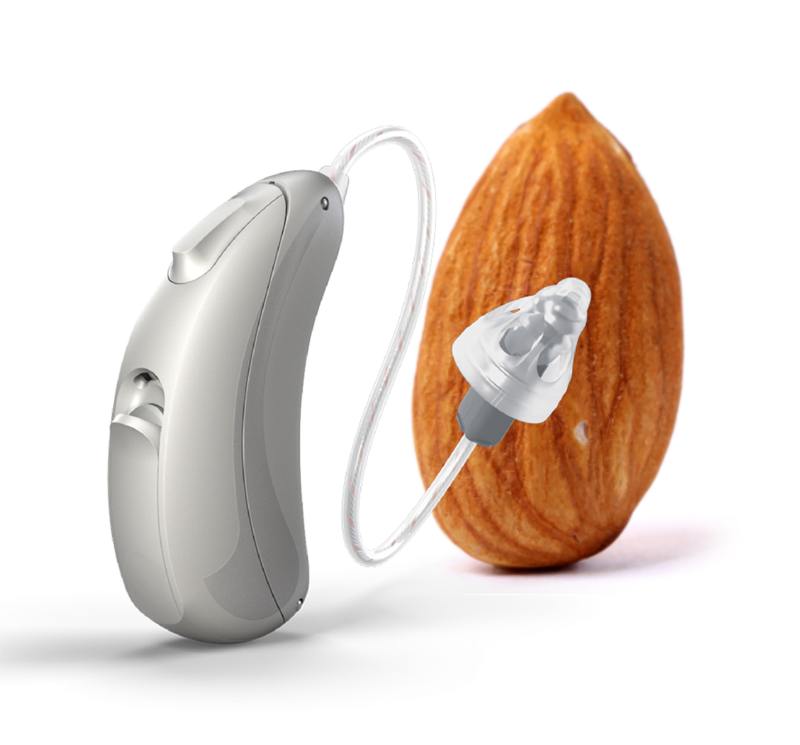 We partner with a leading manufacturer to source German-designed, high-quality hearing aids. In fact, they are the same technology or better that you would get at the audiologist, just for thousands less in middleman markups. View products.